A January 2013 report on healthcare cost containment from the Office of Inspector General (OIG) of the U.S. Department of Health and Human Services (HHS) entitled Medicaid Third-Party Liability Savings Increased, But Challenges Remain describes a substantial increase in the collection of third-party liability (TPL) payments from states in circumstances when Medicaid recipients possess primary types of health insurance, which are responsible for making the payment. The report also announces that additional work is needed to assist states in gaining money at risk of never being recovered. Put some teeth into the enforcement of insurance companies that refuse to comply with existing laws. 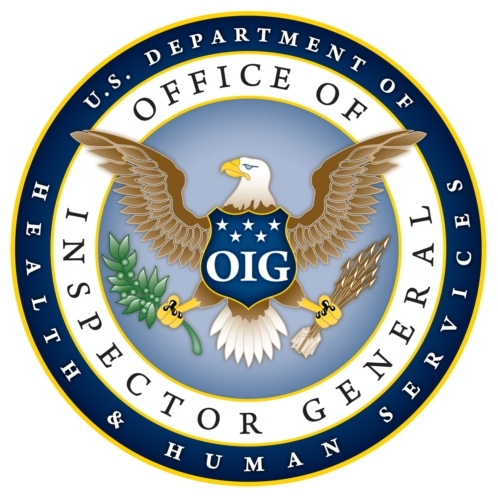 This OIG report found that 45 states noticed better TPL recovery when electronic systems were implemented to check online for the verification of coverage and to match online data collected by TPL clearinghouses paid by the states that match coverage information for beneficiaries with electronic agreements of several insurance companies. This data matching search method can be accomplished for several TPL inquiries at one moment, thereby saving time and money. Plus, this process becomes automatic electronically, rather than a manual check required by an employee. Another electronic benefit comes from states accepting electronic payments from insurance companies. Likewise, states found that when paid contractors assisted them in identity, cost avoidance and recovery processes, TPL claims were improved. Verification and identity for 29 states are the most supportive tasks provided by contractors, especially when matching data to out-of-state third parties. Despite the fact that the U.S. Congress tried to mitigate TPL collection problems with the passage of the Deficit Reduction Act of 2006 (DRA), similar complications continue to exist for the states today. Two main issues in 2011 for states is 1) insurance companies refusing to release information due to the Health Portability and Accountability Act (HIPAA), which is wrong, since states are exempt from HIPAA’s privacy rule; and 2) third parties that submit an Explanation of Benefit (EOB) form, which is incomplete and confusing, thereby hindering the identification of a beneficiary’s additional insurance. All but one of the 50 U.S. states reported that they continue to find insurance companies who refuse to pay or process claims, even after state laws are enacted for them to do so, as spelled out by the DRA. Often, the excuse for not processing a claim is because of procedural reasons, even though the DRA specifically requires states to enact laws outlawing procedural reasons to be used as an excuse for insurance companies to refuse reimbursement. Another challenge for states is the one-year timely filing limits for Medicare and TRICARE. On the Medicare side, it means that providers might be left without a way to get paid from Medicare, which states fear could lead to providers refusing to participate with Medicare. With TRICARE, the state is allowed just one data match per year. Lastly, states lack effective enforcement penalties to force insurance companies to pay the states money that is rightly owed to them. Deadlines on payments need to be enforceable in order for states to receive payment in a timely manner. The OIG says CMS must assist states in coordinating a broad plan of negotiating recovery across the entire nation, instead of the current aspect of individual state negotiations. Another emphasis of CMS should be the dissemination of information to insurance companies about HIPAA rules and denying claims without an explanation. The OIG also asks the CMS to become more active as a liaison between TRICARE, data-sharing and third parties who are difficult with states that are seeking TPL monies. Also, the OIG suggests that CMS put some emphasis on pharmacy benefit managers, who are particularly uncooperative to states. A task force could be created to work between all mentioned parties that develops viable results. Finally, the OIG says that there are solutions in the DRA, but that this law is without enforcement authority to penalize third parties that violate DRA law. Such penalties need to be enacted so that states can realize the final $4.1 billion not being recovered.